* My article begins with: "Art Institute of Colorado trained graphic artist, Emmy winner, art director for an NBC news affiliate - Johanna Parker has an impressive resume. 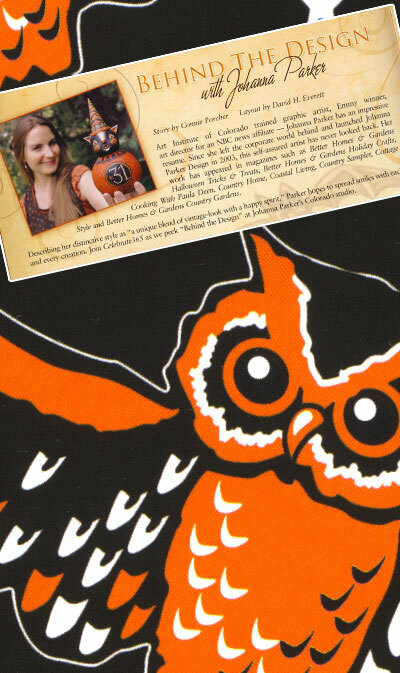 Since she left the corporate world behind and launched Johanna Parker Design in 2003, this self-assured artist has never looked back......"
To read more, order your copy today! 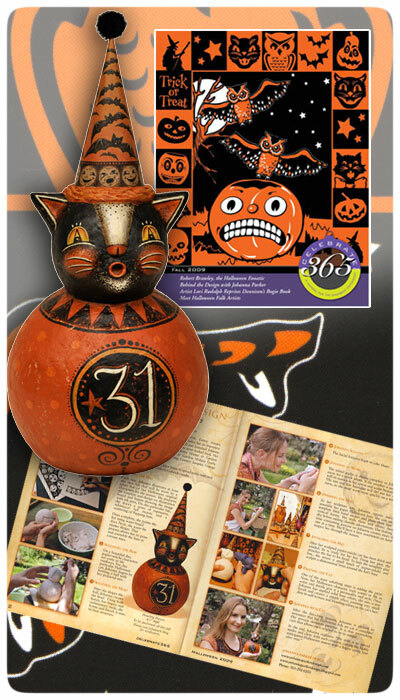 * "Howling Harvey" my Halloween folk art cat is featured from start to finish. I hope to offer him along with a signed copy of this issue on eBay very soon, so please join my mailing list for details!